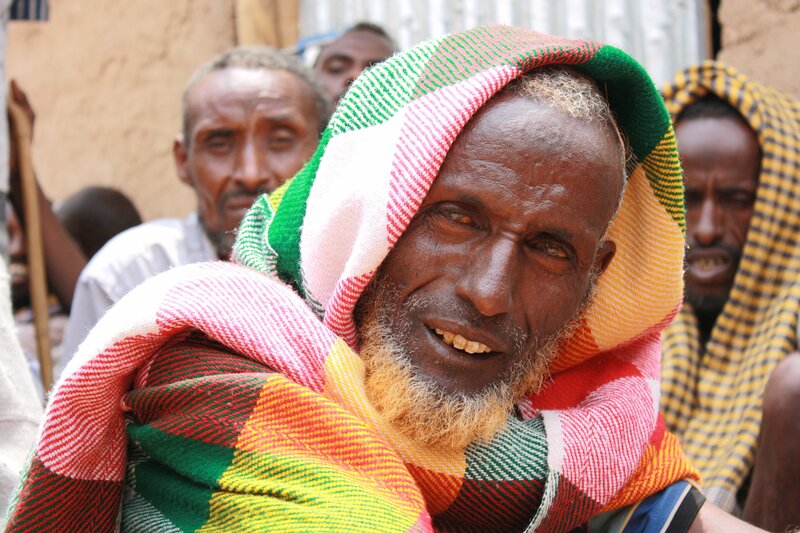 Cash and voucher transfers are being scaled up and increasingly integrated into humanitarian relief efforts across the Horn of Africa, particularly in areas of insecurity, where access issues have led to a rethink of traditional ways of delivering aid. "We have to criticize our programming decisions and formulate better ways to get assistance to the people in need," said consultant Nick Maunder at a recent workshop he facilitated in Nairobi, where the private sector, NGOs, UN agencies and donors met to debate, share experiences and develop ways to improve and increase the use of cash transfer programming during emergencies. Across the Horn, more than four million people are now receiving assistance via cash or vouchers, according to the Cash Learning Partnership (CaLP), which organized the workshop. "Cash for assets has also started going to scale in Kenya, targeting just under half a million beneficiaries at KSh3,000 [$33] per household per month," said Sheryl Harrison of WFP. Most humanitarian assistance in the Horn of Africa has so far been provided in-kind, through the distribution of food, shelter, tools and seeds. In many areas, relief efforts have been beset by delays, high delivery costs, and in some areas, high taxation. There is a growing body of experience in the region that is using cash or vouchers as a critical complement, or at times an alternative to in-kind assistance. "Cash is less visible, more dignified, uses fewer intermediaries, is in transit for less time and a more flexible resource to meet needs beyond food," said Degan Ali, Executive Director of Horn Relief, an NGO. When food is available in local markets, or can be supplied quickly through market mechanisms, cash and voucher transfers are perceived to be the most efficient and cost-effective way of delivering humanitarian aid. Once the implementing agency has conducted an in-depth market assessment of the area, and the context is deemed suitable, money can transferred directly to beneficiaries, with or without conditions. "The reason why there is so much momentum around cash is because the humanitarian world is starting to recognize that more and more people are living in a market economy, taking that into account and beginning to work in it rather than in isolation from it," explained Breanna Ridsdel, communications and advocacy officer at CaLP. Concerns have been raised about whether injecting cash can disrupt local economies and cause inflation but implementing agencies believe the amount of money being transferred to households is too small to have a detrimental impact on markets; according to a recent report by CaLP, the fear of inflation is disproportionately applied to cash rather than in-kind programmes, which can also have a massive influence on markets. Breanna Ridsdel of CaLP explains "Its all context specific, if you are looking at going into a very remote area and setting up a financial system, then that may not be the most appropriate intervention but if you are looking at a financially insecure community, living in urban area, in a developed financial system, then cash is likely to be more appropriate then food distribution which is working against the market... It's all about good programming". The challenging environment in which relief agencies are operating in the Horn of Africa, characterized by insecurity and corruption, has led the aid community to create partnerships with the private sector and adopt new technologies to deliver cash safely to hard-to-reach areas. Representatives from Visa, Equity Bank and Safaricom, a mobile phone operator, attended the workshop to lobby implementing agencies to use their products, saying it would be more efficient. "Exciting new partnerships are being forged between the private sector and humanitarian community to improve the delivery of cash," said Ginger Baker of Emerging Market Solutions at Visa. Money is being transferred electronically through mobile-phone service providers, such as MPesa in Kenya, and through traditional remittance networks in other countries. "In Kenya, 21 percent of the population has bank accounts and 87 percent have mobile phones... MPesa can be used as a poverty eradication tool," according to Safaricom. With increasing scrutiny from the media, public, and donor governments over the cost-effectiveness of aid and at times, inefficiency of traditional distribution mechanisms, emerging partnerships between the banking and humanitarian sector are being welcomed. "Partnerships with the private sector will encourage more efficient and effective ways of delivering humanitarian assistance," said head of International Federation of the Red Cross Regional Office, Alexander Matheou. "The profit motive is not a bad thing. Safaricom and Visa may take a nominal fee for sending cash to impoverished households but at least it will be done quickly in a cost effective manner" said an independent aid consultant at the event. Over the past few years, the private sector has played an important role in facilitating cash transfer programming yet the engagement of humanitarian actors still appears to be limited. Some worry that the pursuit of profit sits uncomfortably with humanitarianism. "The private sector are concerned with the rich, we are concerned with the poor... We need to be careful, but also respectful of each other's motivations, and meet somewhere in between, " said the chair of the CaLP steering committee, Austin Davis. Another challenge is introducing electronic payments in low-income countries which need existing financial institutions and wide mobile-phone network coverage. Safaricom admitted that large parts of the Horn of Africa were still not covered and a proportion of vulnerable populations did not have access to mobile phones. However, according to a recent report on the impacts of mobile cash transfer programmes, the widespread growth of mobile-phone coverage, cheaper handsets and mobile-money services in developing countries suggests these constraints could be easily overcome. "The momentum is building but any change happens slowly, any adoption of new techniques meets resistance at first, it has to go through the process of building evidence, proving itself, making mistakes, correcting itself and building systems; this is the biggest obstacle to adoption at scale," explained Ridsdel. According to the Oversees Development Institute's (ODI) Good Practice Review for Cash Transfers in Emergencies, "Experience in very uncongenial environments such as Afghanistan, Somalia and the DRC shows that cash or vouchers are a possible response even where states have collapsed, conflict is ongoing and banking systems are weak or non-existent." One of the main challenges is a negative institutional mindset that can be overcome with an increase in such programming, according to advocates. Sarah Bailey of the ODI said: "Transferring cash directly takes the power away from the humanitarian community and puts it into the hands of the beneficiaries, a notion that people still remain uncomfortable with." Experience of cash-based programming is largely based on recovery operations, with less experience at the very early stages of a relief or emergency response phase. "We should have begun transferring cash much earlier in Somalia where the markets are very important and continue to function despite collapsing livelihoods and weak purchasing power," said Grainne Moloney, nutrition technical manager at the UN Food and Agriculture Organization's Food Security and Nutrition Analysis Unit (FSNAU). In January, FSNAU began assessing 44 markets across Somalia, monitoring the prices of about 40 commodities every week. "In some markets, it became clear that cash transfers at scale were a valid option early on. Unfortunately, there was a lot of hesitation and concerns over inflation, insecurity and cash diversion. Donors were hesitating as the crisis deepened." Britain's Department for International Development "is successfully using transfers to reach particularly impoverished populations in challenging places in Ethiopia and Kenya. Transfers reach their recipients more quickly and transparently than more widely prevalent ways of delivering aid," according to the UK's National Audit Office. *This is a revised version of a story first published on 5 December.